As much as everyone loves to smash their driver like Dustin Johnson. It's your short game that has to excel to play winning golf and a huge part of your short game is putting. 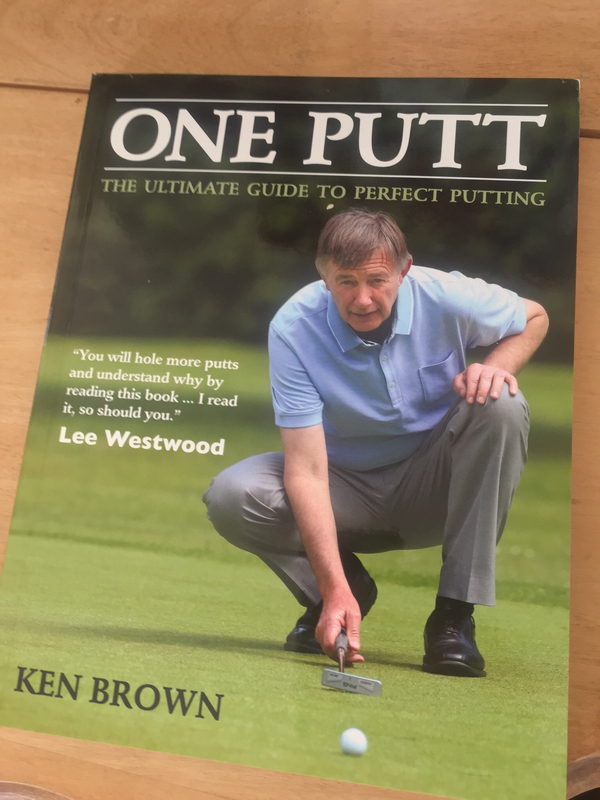 Ken Brown the former Scottish European Tour Player now turned golf broadcaster has written a book about all things putting, called "One Putt - The Ultimate Guide To Perfect Putting". The book is an easy read and gives a indepth but easy to understand account of Ken's thoughts about getting that little white ball in the hole, hopefully with a "one putt". The book is laid out beautifully with just enough words and pictures to get Ken's ideas across to the reader. One Putt can be read from start to finish or read from any chapter that might interest you. 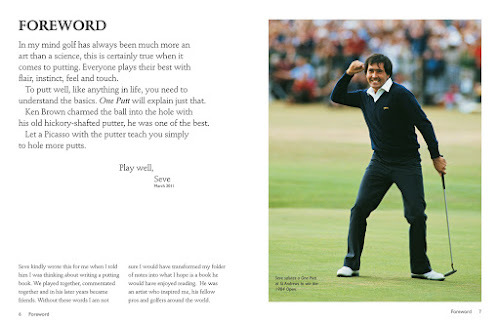 That's what makes it a good read for the new golfer or the seasoned duffer. I really enjoyed Ken's stories that occurred throughout the book that related back to either putting in general or to that chapter. It's Ken's knowledge of putting while slugging it out on the European Tour and his insight while watching the pros as a golf broadcaster that really come through in the book. It's nothing over the top or pretentious just insightful and easy to understand. At $24.95 Cdn. One Putt is the perfect addition for the golfer in your life and with Fathers Day right around the corner, a gift any Dad that golfs will love. Choosing a Putter -- Length; Lie; Loft; Weight; The sweet spot; Moment of inertia; Insets, grooves and sounds off the face; Balance; Face depth; Shaft flex; Grips and grip alignment; Try before you buy; Look after your putter; Putters and their features. Love the forward by Seve for One Putt, perfect! Hickory shafted blade putter, Ken's signature putter. 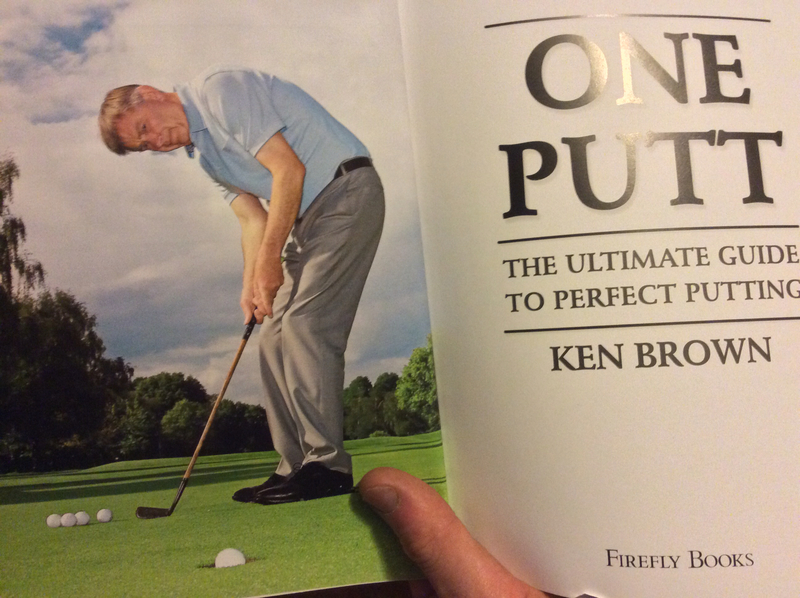 I'm glad there is a guide on putting. It makes up more than 40% of all shots, yet golfers always neglect it. Thanks for the review.